The church of St Nicholas in Hockcliffe is not in the middle of the current village of Hockliffe but in the hamlet of Church End, to the north-west of the main village. The church commands a dominant position on a spur overlooking the hamlet. Parking is available by the road side around the centre of Church End. 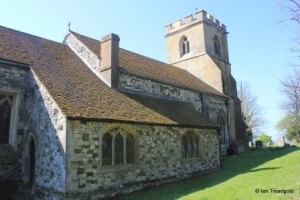 The church consists of a nave and chancel with a west tower, south porch and north vestry and chapel. 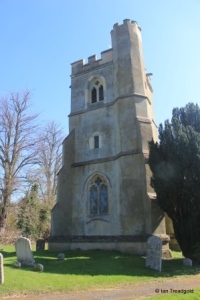 Most of the building is made of locally quarried Totternhoe stone and ironstone with the tower being rendered. The nave is some 41 feet by 22 feet with the chancel adding 25 feet by 17. The tower is around 11 feet square and rises around 50 feet. As is so often the case, much of the church was restored or rebuilt in the Victorian era. 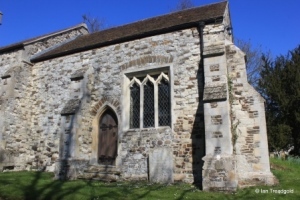 Of the visible remains, the tower and south porch date from C15. 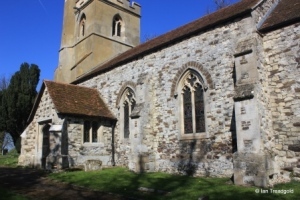 Much of the rest of the building including the nave, chancel and north chapel and vestry, date from rebuilding in the 1860’s. 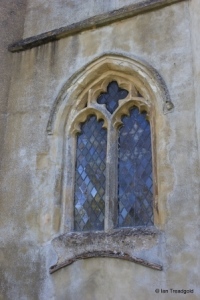 The south aisle has two windows to the east of the porch. 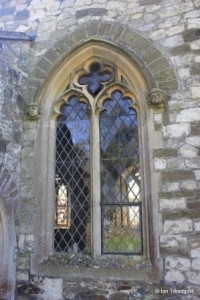 Identical, these windows are of two cinquefoiled lights with a quatrefoil design in the tracery under a pointed arch. There are corbels on both windows. 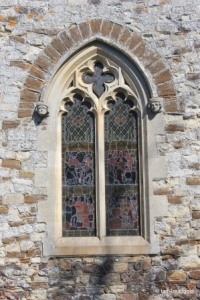 The south porch has glazed windows to the east and west, two light uncusped windows under square heads. 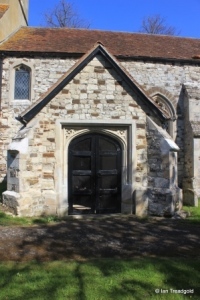 The porch opening has a four-centred arch with quatrefoil designs in the spandrels under a square head. 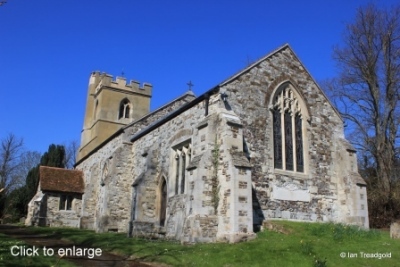 The porch has diagonal buttresses and, like the rest of the church is tiled, with the work dating from the 1860 restoration. 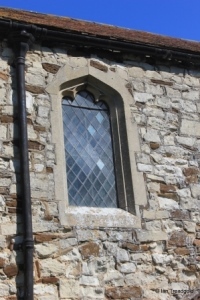 To the west of the porch is a high single light window with a trefoil design under a Tudor arch. 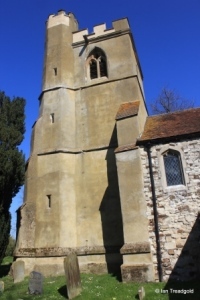 The embattled and rendered west tower is in three stages with diagonal buttresses with a stair turret in the south-west corner rising above the tower. The belfry openings are two light trefoiled designs with quatrefoil tracery above under pointed arches. 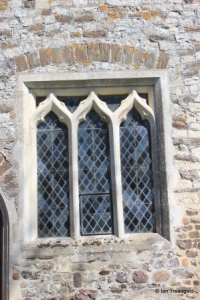 The west window appears of a similar age to the tower, C15, and provides the model for the south aisle windows being of two cinquefoiled lights with a quatrefoil above under a pointed arch. 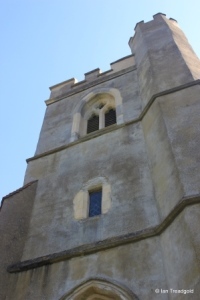 Above the west window is a restored rectangular window in the second stage of the tower. 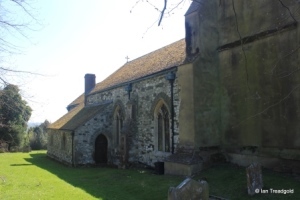 The north aisle has two windows to match those on the south side although their position is more westerly due to the chapel and vestry and lack of a north door and porch. The vestry adjoins the chancel and continues along the nave to form the Gilpin chapel. Both of these were added in the 1860 restorations. 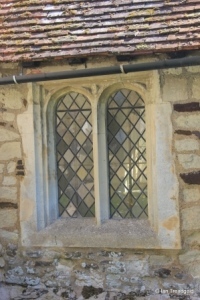 The vestry and chapel have two squat windows of three cinquefoiled lights, the centre of which is under an ogee arch with the entire window under a four-centred arch. There are doors to both the west (from the chapel) and east (from the vestry). 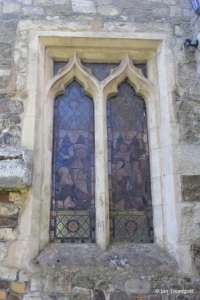 There is one window on the north side of the chancel containing two trefoiled lights under ogee arches under a square head. 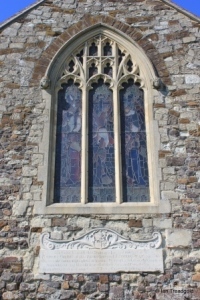 The east window is of three cinquefoiled lights with intricate perpendicular tracery under a two-centred arch. Below is an plaque marking the presence of the Gilpin vault under the chancel. 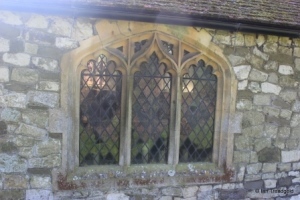 The south side of the chancel has a single three light trefoiled window under a square head to match that on the north side of the chancel. There is also a priest’s door to its west under a pointed arch. Page last changed 24/04/2015. Reformatted 26/02/2016.